Here at Invotra, we believe in providing you with the tools to design and build the intranet you want in-house, without incurring additional costs or needing external help from developers. We understand that preferences when it comes to layouts will vary from organisation to organisation. So, it makes sense to give you the flexibility to pick and choose exactly what you want. Within our product, we offer an In-Place-Editor (IPE) that allows you to edit the layout of your homepage and site sections quickly and easily. 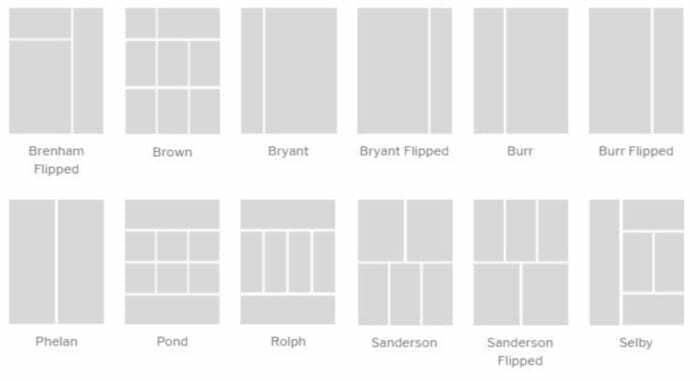 We offer the option to change the layout structure, currently offering 31 pre-set layouts that each have varying columns, headers and footer designs. Within our site sections, we also a wide range of widgets that can be displayed in a wide range of ways. For example, you might want a thin Twitter feed on the left hand column but a large news section on the right hand column. 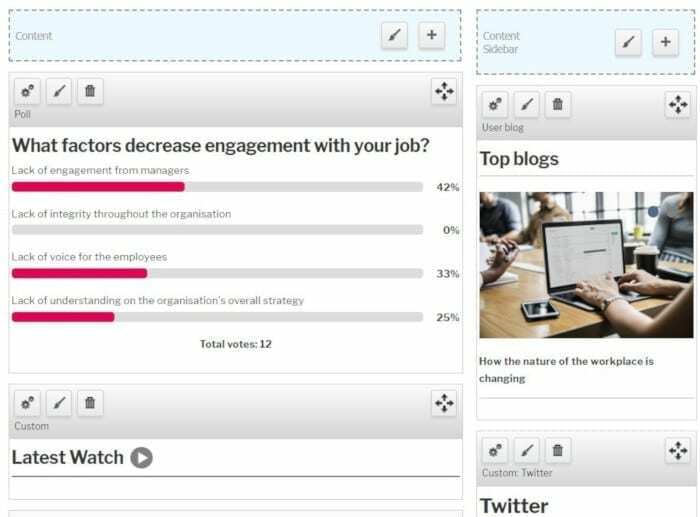 Or, you might want one large area that displays a video, with rows underneath displaying blogs. The combination possibilities are endless! And, you aren’t limited at any time. If you get bored of one look, switch to another in seconds. Our IPE drag and drop functionality makes it easy for you to move things around and preview what it will look like. If you move something and change your mind on how it looks, simply move it back. It’s extremely simple and user-friendly. Furthermore, when you dive into the actual widgets themselves, you can choose the style in which they present. There are currently 24 preset styles available. Below, there are some examples of the same widget displayed in 2 different styles. To see our IPE in action, check out the demo video below. If you’d like an in-person demonstration of our flexible design features or the product in general, don’t hesitate to contact us.